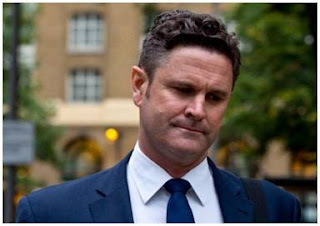 Chris Cairns, the former cricket captain of New Zealand has been repeatedly questioned regarding the allegations of match fixing. Cairns has repeatedly denied his involvement, and once again had to defend himself in front the Southwark Crown Court in London. Suspicions started in 2010 when former Indian Premier League Commissioner Lalit Modi posted a tweet accusing Cairns of match fixing. Cairns sued Modi for libel and declared under oath he was innocent, winning the case in 2010. He received £90,000 for costs and damages. It didn’t end there. In December 2013 he was yet again the subject of allegations when ICC (International Cricket Council) initiated an investigation of match fixing. He is suspected to have attempted to manipulate cricket games in the Indian Cricket League while he was playing for Chandigarh Lions. Cairns has denied and rejected these claims. Cairns countryman and former teammate Lou Vincent admitted to partaking in match fixing in a video testimonial in July 2014. Vincent’s apology for cheating got him banned for life from cricket, but also put Cairns on the spot. Although Cairns won the libel trial and denied his involvement in any match fixing, the Metropolitan Police declared in September 2014 that they would bring Cairns in for perjury in conjunction with the Modi libel trial. More evidence was brought forward in the still ongoing perjury trial, when Vincent witnessed saying: “I was under direct orders from Chris Cairns to be involved in match-fixing.” Vincent was first approached by an Indian businessman Varun Gandhi believing it was a sponsorship deal. Vincent was offered £32,000 per game and a prostitute, who he later confessed to have slept with. In return he had to under perform in fixed games and got his orders from Cairns. “There were four games I fixed for Cairns in the April/May tournament 2008. I played between eight and 12 games. In three or the four games I was instructed either on the bus or at breakfast. Maybe score 15 runs off twenty balls and get out. “, said Vincent regretfully. With Vincent‘s vivid testimonial among others, Cairns is now cornered. With evidence ranging from cheating, prostitutes, diamond deals, drug-taking and large payments from bookies it was highly anticipated that Cairns would appear on the witness stand in an attempt to exonerate himself. Cairns is also flanked by his former legal adviser Andrew Fitch-Holland who is charged for perverting the course of justice in regard to the libel trial in 2012 and evidence points to their guilt. The trial is still ongoing and Cairns continues to deny his involvement in match fixing. He claims to never have been approached by bookies to stage the games in order for punters to win on their betting. Therefore it was interesting to read the news recently of Cairns getting up on the stand to defend himself. The former New Zealand captain claimed that Lou Vincent never told him about the prostitute “gifted” to Vincent back in 2008. Cairns also denied he ever asked his teammate to under perform in fixed games for payment during their time in the Indian Cricket League or that he never suggested such thing. It was an exhibition in no-saying and Cairns seemed composed and confident during the whole questioning. Whether or not he will be found guilty future will tell, but his reputation as one of cricket’s best all rounders, has unquestionably been dragged in the dirt for a foreseeable time to come.